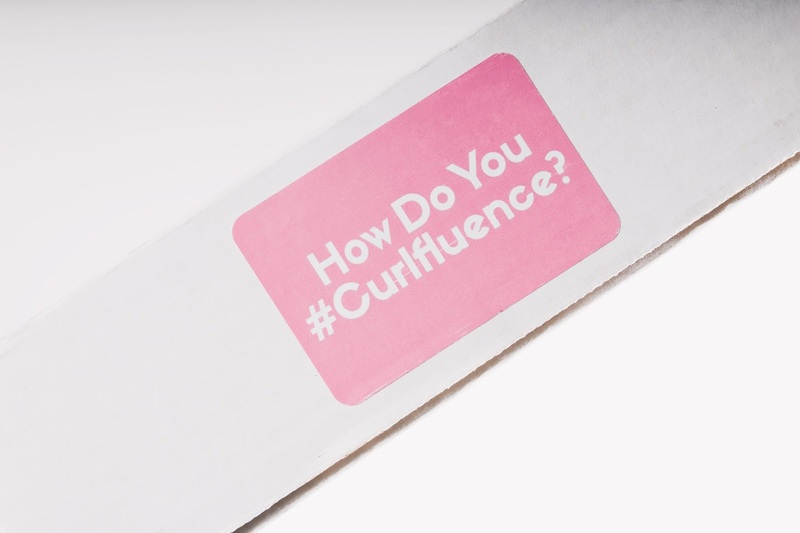 Follow Curlfluence on Instagram here! First off, can we take second to appreciate this super adorable box? I'm a sucker for great packaging. 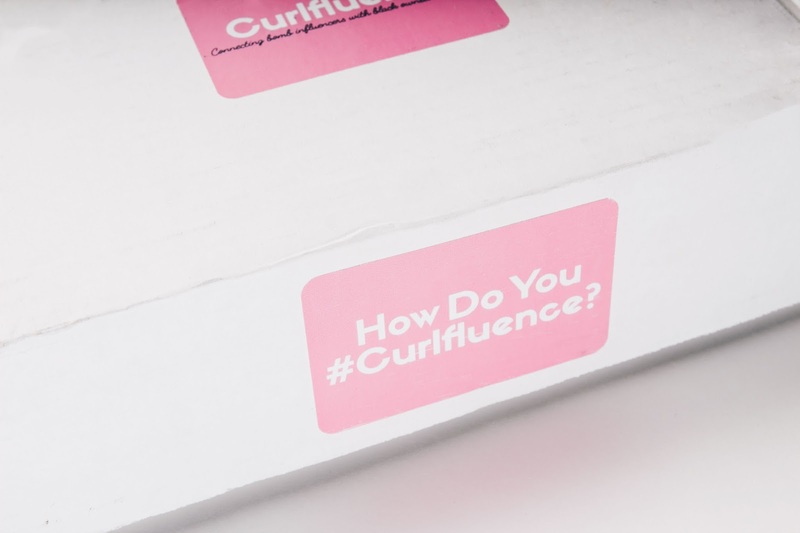 Good job, Curlfluence! Okay, let's get into the products. 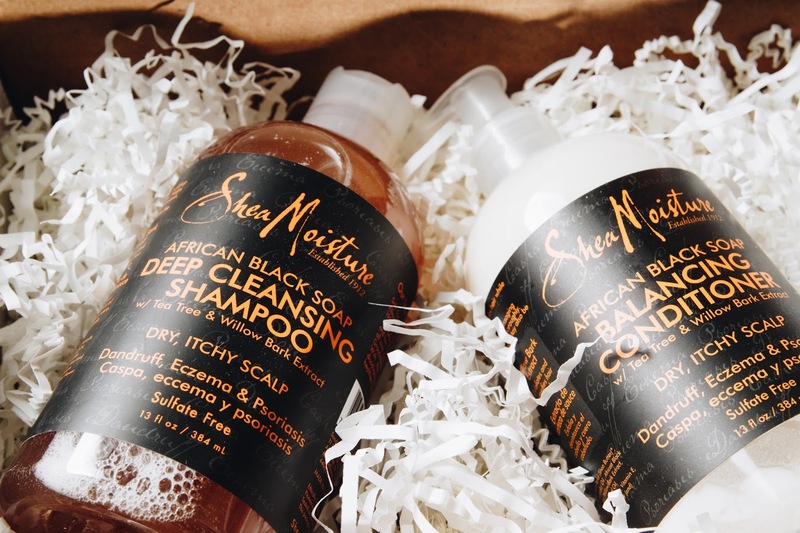 I am a Shea Moisture fanatic! I literally trust anything this company has to offer. When I opened my box, oh my goodness. "They sent me the good stuff!" These products both state that they're best for dry, itchy scalp. They help treat dandruff, eczema and psoriasis. I'm not battling any of these conditions, but I'm certain these products are perfect for anyone who is. I couldn't wait for wash night. I added these babies into my usual routine and made a little bit of magic. This shampoo is sulfate free, that's a major key! It smells lovely, too. Kind of reminds me of bubble gum. I don't know if that's weird or not, but anyway... A little bit definitely goes a long way with this. I squirted a quarter-sized amount into the palms of my hands and lathered up. My hair felt squeaky clean afterwards, ready for conditioning. Conditioning my hair is the most important part of my wash routine. Like most naturals, my shampoo to conditioner ratio is never equal. I really did enjoy this conditioner, but I would have preferred a little more slip. This conditioner was a little on the thick side. I have low porosity hair, so I try to refrain from using products with too much weight. I wasn't really able to detangle my hair easily, but I got it done. Overall, I got the proper moisture and hydration! My hair was left feeling super moisturized and I peeped a little bit of shine. I'm actually considering using this product to deep condition in the future! 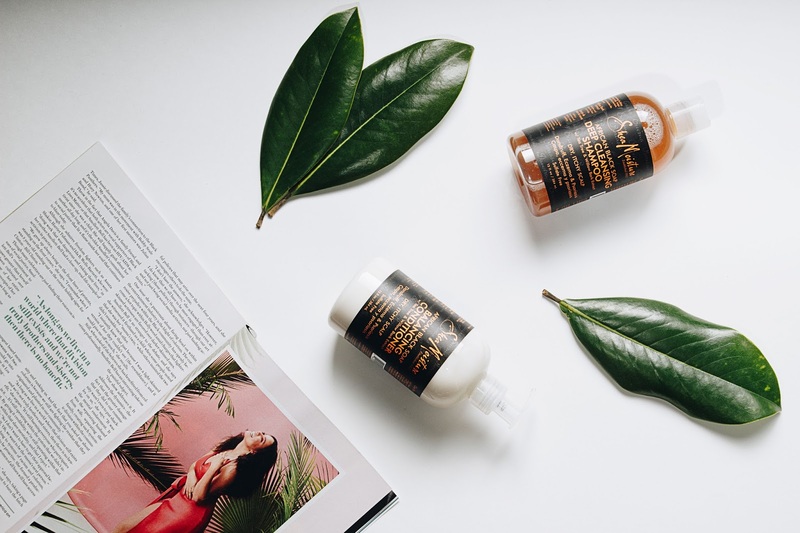 Both products contain Tea Tree and Willow Bark Extract. 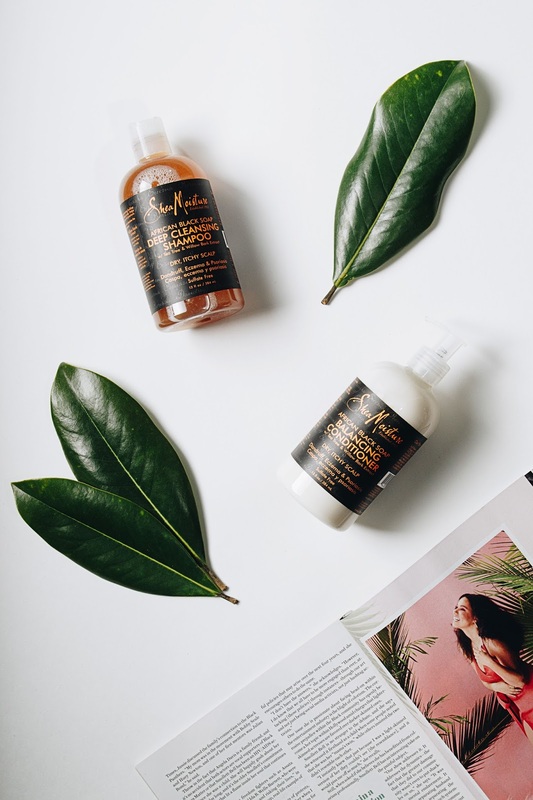 Shea Moisture doesn't use harmful ingredients, so their products are always totally safe! I would recommend this shampoo and conditioner to anyone wth any of the conditions mentioned above, or for those who are just product junkies like me looking to try something new. There is actually an entire line of these products that include other kinds of shampoo and conditioner, a pre-poo rinse and a hair masque. 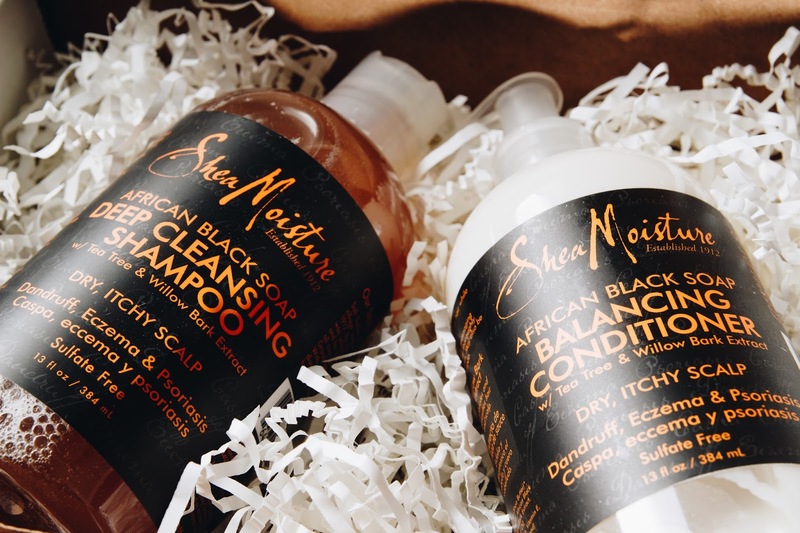 I've listed direct links to each product, Curlfluence, and Shea Moisture below. If any of you guys have ever tried this shampoo and conditioner feel free to leave a comment below, I wanna hear from ya! Thank you so much for reading.